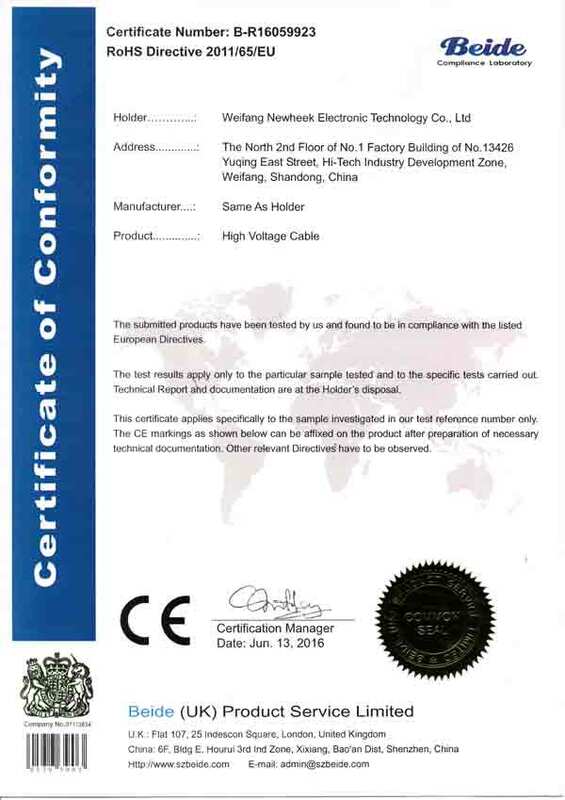 The high voltage cable connection includes standard terminals, which are installed in the socket of the power supply or X ray tube for electrical connection. The cable is wired through the terminal. The clamp fixed the sheath of the cable to the cap on the protrusion end. At the point where the cable enters the terminal, a boot packet surrounds the cable. A collar that is divided into two halves or segments is suitable for forming a boundary between the terminals of the terminal and the boots. A ring is placed on the collar to keep these segments together. The nut with the outer threaded part is mounted on the ring and ring, and the nut rotates around the ring and ring and is matched with the inner thread, which forms a part of the power source or the socket in the X ray tube. Newheek manufacturers different cable length and connectors of x ray high voltage cables. 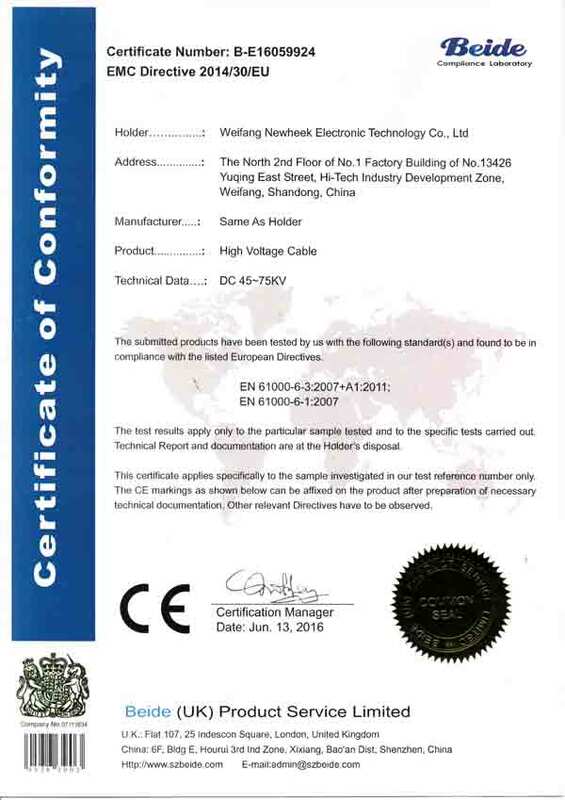 75kVDC rated x ray high voltage cables are applicable to medical x-ray equipment, such as standard x-ray, mobile x ray, portable x ray, dr, diagnostic x ray, c-arm etc. Computer tomography (CT) and angiography equipment. Industrial and scientific x-ray or electron beam equipment, like electron microscopy and x-ray different equipment. As well as being widely used on lower power high voltage test and measuring equipment.